50°F, rain, and a stiff breeze—welcome to Hamburg! This most beautiful city of the world is said to be pretty moody—we have a lot of rain here (Fortunately still not as much as in England!). Our summers tend to be short and our winters are too long and too cold. All inhabitants who skateboard here have to deal with that somehow. Next to our weather conditions, we have to face the fact that we live in the “flatlands” as I like to explain it. Hamburg is situated in northern Germany and seems very flat at first sight, but as a skater you have to take what you get, so we stick to the philosophy of “Skate Everything!” From short, steep, and narrow winding paths down to the river Elbe, to smooth boardwalks, to slippery spirals in parking decks; our options of where and what to skate are suprisingly diverse, and thus, so is our skateboarding scene. Lasse, Gnadenkirche, Hamburg, Germany. Photo: Gordon Timpen. In recent years, the scene has changed a lot. As we all know, longboarding got popular the-world-over and subsequently the number of skaters increased significantly over here in Europe. 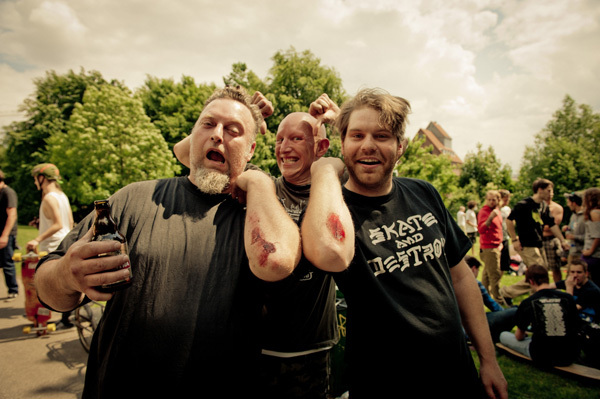 A lot of the original Beasty Boarders retired and new people entered the Hamburg scene. These days, there are around 20 to 50 people who belong to the core and keep everything running. 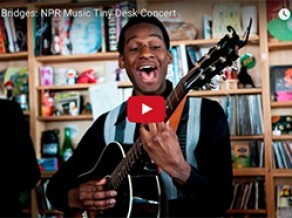 Garage session. Don, Fux, & Rakete. Hamburg, Germany. Photo: Gordon Timpen. 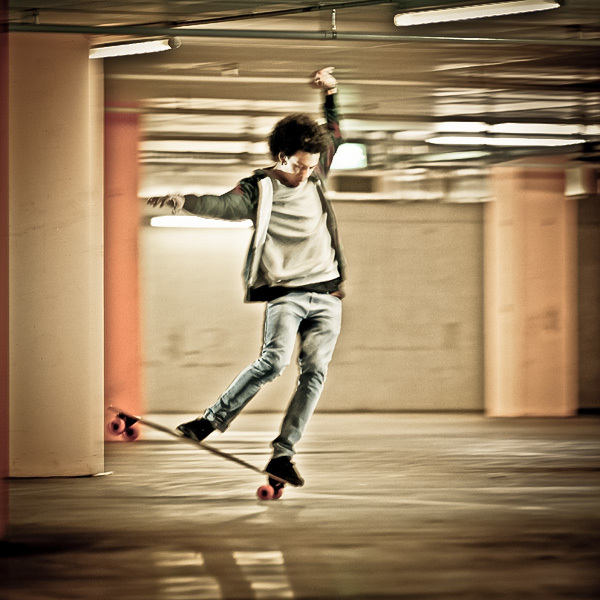 Sydney, nose manual, Hamburg, Germany. Photo: Gordon Timpen. 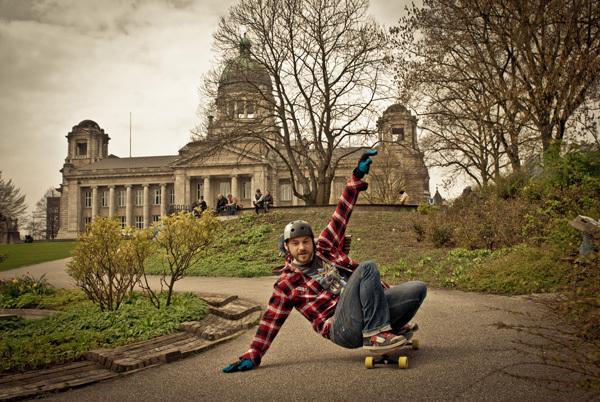 In 2008, the longboard association Rollsport Hamburg was founded in order to represent the skaters’ interests towards the city. 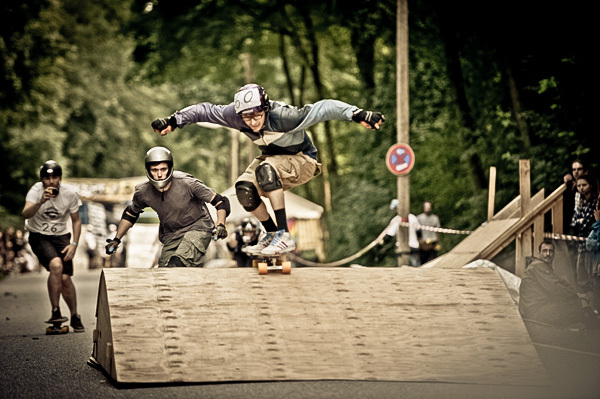 They organized the first SkateboarderCross in 2010 on a steep and narrow road down a Dump Hill—a road leading to a hazardous waste deposit site. Yes, the highest hill in Hamburg is actually just a giant pile of waste! Unfortunately, the hill is not open to the public, and due to construction work the second SkateboarderCross, which took place on July, 28th, 2012 had to move to another location. Philipp, Ditch shredding, Hamburg, Germany. Photo: Gordon Timpen. 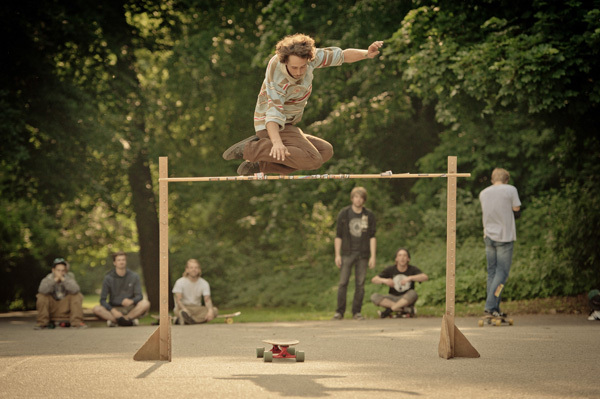 Hippy-dippy-jump, Hamburg, Germany. Photo: Gordon Timpen. Greenskate awards ceremony. Hamburg, Germany. Photo: Gordon Timpen. 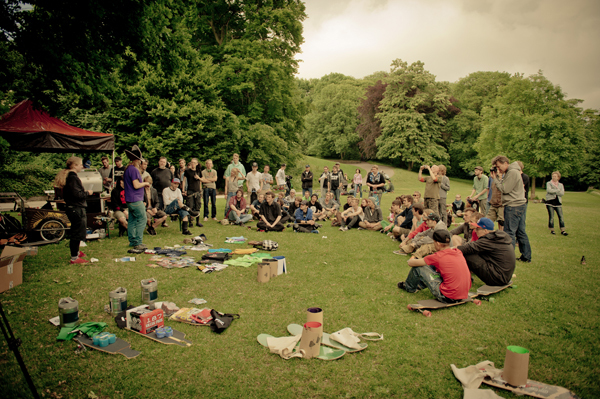 There is a lot going on in the Hamburg skate community. We take part in Greenskate, and had two of them this year with about 50 skaters on each date. Definitely worth to mention is the Hamburg City Rollbrett Race, a DIY-event organized by Rene and Caro. The race is a kind of skateboard scavenger hunt and was held successfully for the second time a couple months ago. 25 teams took part, about 100 riders in total. Go check http://www.allaroundskate.com/hamburg-city-rollbrett-race-report/ for a full description of what happened including a famous ale bench skateboard. This year, not only people from Hamburg participated in the race and sliding action, but also skaters from neighbouring cities such as Lübeck, Bremen, and Kiel joined us as well. It’s nice to see that Hamburg is becoming a hub of the scene for the northern part of Germany. And it’s great to see how everybody is getting further connected. The original BeastyBoard web forum switched to a facebook group now with about 600 members and is used for everything which has to with our scene. 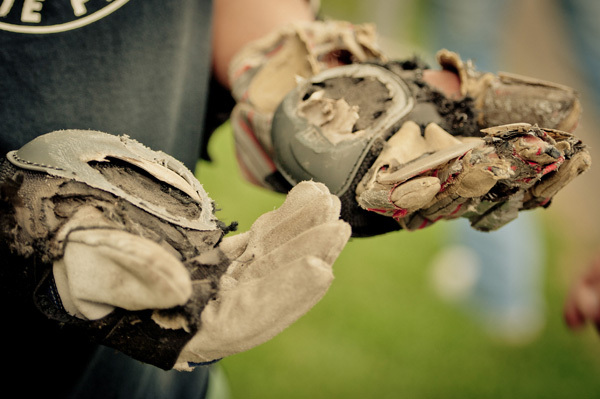 Time for some new gloves. Hamburg, Germany. Photo: Gordon Timpen. Lukas, double-down, Hamburg, Germany. Photo: Gordon Timpen. 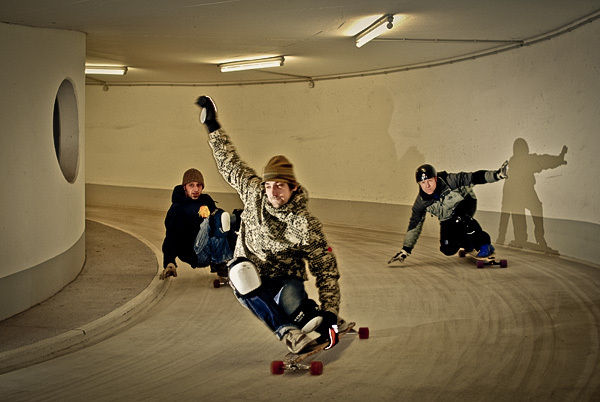 Philipp, Jansen & Mo, night sessions, Hamburg, Germany. Photo: Gordon Timpen. The night session crew. Hamburg, Germany. Photo: Gordon Timpen. Hamburg has two major shops that support the scene: Subvert Store, located in St. Pauli; and Mantis Longboardshop in the city center. Both have their own teams. Due to Hamburg’s famous flatness, different styles of riding evolved during the last years. 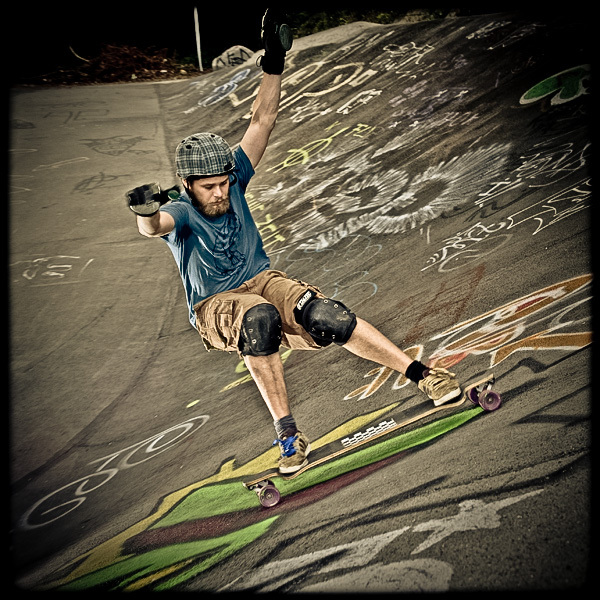 There are groups of boardwalkers, cruisers, freestylers, as well as those who pick up freeriding and downhill. 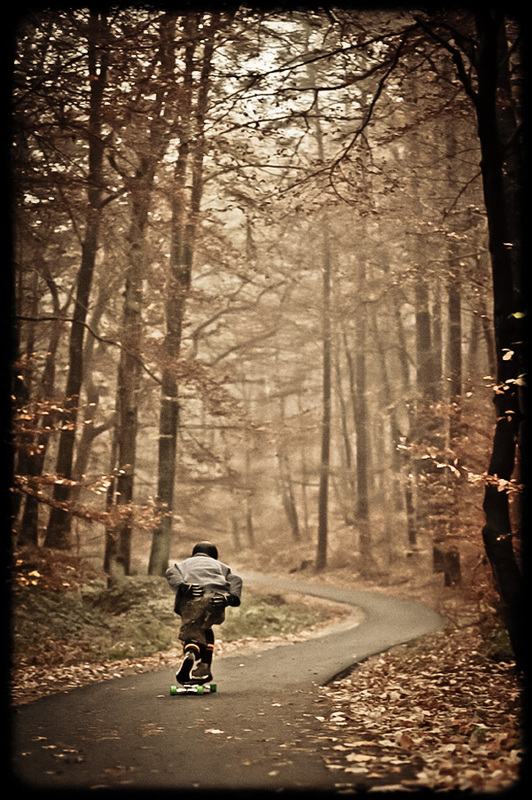 The faster ones can be found quite often in the Dopa, or Donnerspark, which is a steep, right-handed corner in a park near the Elbe—a good location for sliding and taking a corner at full speed. A delegation of our speedy downhillers is regularly traveling to freerides and races around Germany, Belguim, and the rest of Europe. 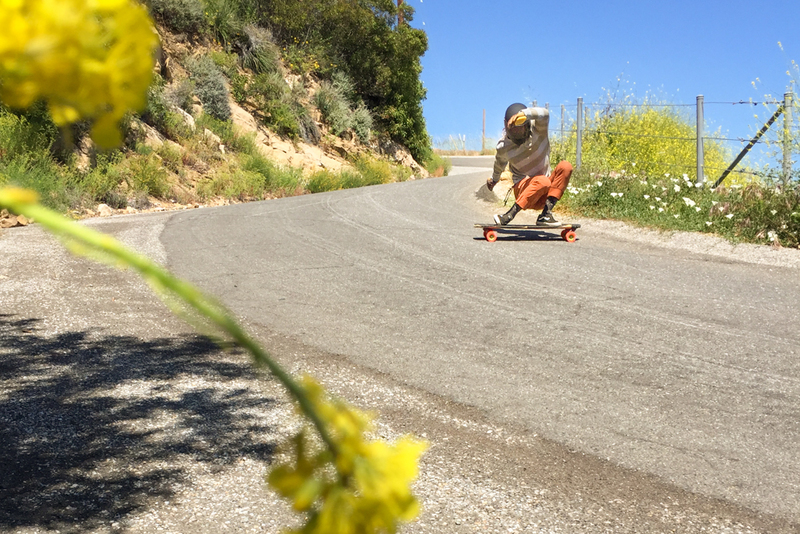 Two of our locals: Luca Lessing and Finn Longwitz, the one riding for Wefunk and the other for TD Longboards, and both for Mantis Longboardshop, participated in their first IGSA race earlier this year at the Kozakov Challenge! 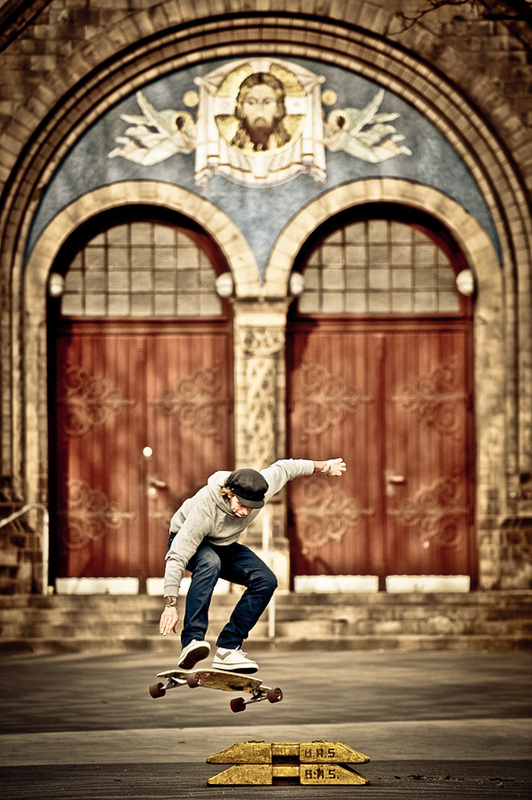 Elie, BoarderCross, 2012, Hamburg, Germany. Photo: Gordon Timpen. Skate and Destroy. Haeng, Alex, Markus. Hamburg, Germany. Photo: Gordon Timpen. Luca, Secret spot. Hamburg, Germany. Photo: Gordon Timpen. 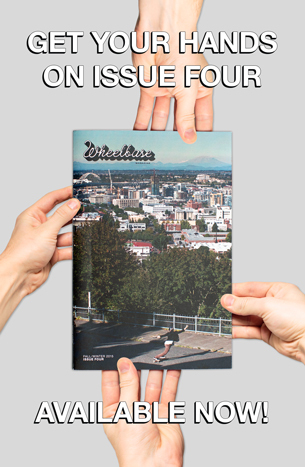 Every Wednesday, a roll-round—which is open to everyone—takes place starting at the Subvert shop after the store closes. 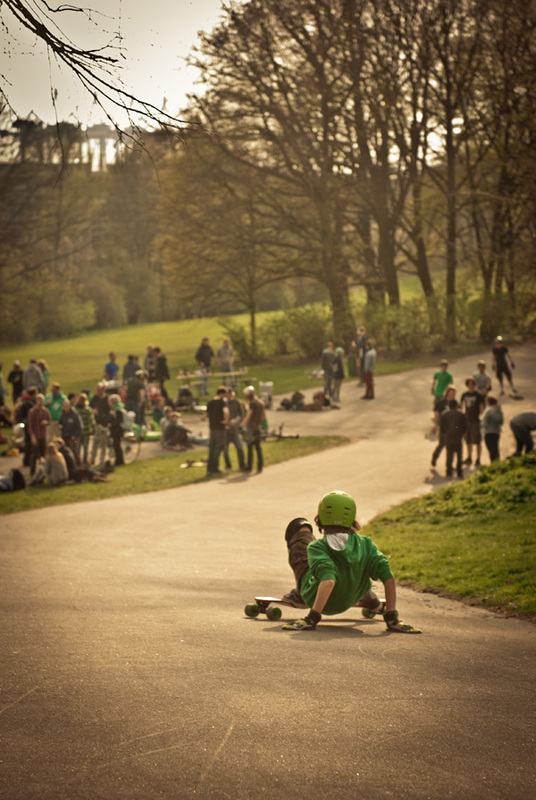 Wednesday evening is the unofficial roll-round-time for every German longboarder, not only in Hamburg, but also Berlin. Philipp, Hamburg, Germany. Photo: Gordon Timpen. Next to the Dopa, another nice spot we have here in Hamburg is a drainage ditch. According to many, this is pretty much the only skateable one in Germany and it’s is frequented by all type of skaters, and from all over. That said, you have to be real careful getting road rash in this ditch because in the winter the ditch is turned into a sink for local waste water. Ewweh! A whole lot of boards, Landdungbrueken, Hamburg, Germany. Photo: Gordon Timpen. hell yeah dude! Very Kühl! 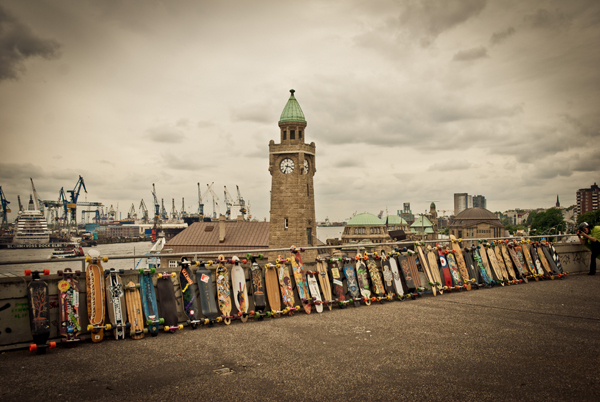 Hamburg has a rad scene—we can't wait to go visit. Stay skating.